The first episode was amazing! Torchwood is back! If you haven't seen the first episode of this fourth season, you might not want to read this blog as there will be spoilers, and if you've only seen the first episode of the fourth season, meaning you haven't checked out the show previously (although you totally should, all three previous seasons are available on Netflix Instant) you might be a bit confused, because my thoughts will contain some information from the previous three seasons. So, no one can die, except for the man that can't die. Captain Jack's ability to immediately heal from any wound appears to be gone. My immediate thought is that this is the reason for Miracle Day; somehow it is counteracting Captain Jack's ability (for more on Captain Jack's ability check out the first season of the new Doctor Who). 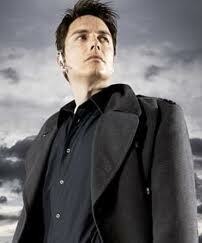 Whoever made Miracle Day happen did it in order to kill Captain Jack Harkness. That's my first theory. My second theory is that this has something to do with the resurrection glove. 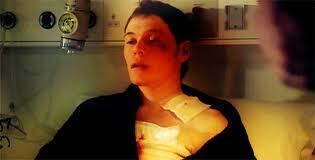 The resurrection glove was first seen in the first episode of Torchwood. It made another appearance in the eighth episode of season one. Its pair appeared in the seventh episode of season two. If you haven't watched the first three seasons of Torchwood and want to remain unspoiled, this might be a good time to stop reading. One of the members of Torchwood, Owen Harper (and I loved Captain Jack using Owen's name as his FBI alias) was shot and killed. Captain Jack uses the second resurrection glove to bring him back. It brings him back to life, but it doesn't heal him. He remains injured, and cannot heal. Sounds a lot like what is going on here. Owen is not the only one rumored to have had this glove used on them. In the same episode we heard a story about a girl that was brought back to by the glove, a girl named Faith. 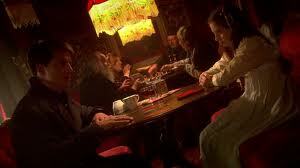 In the episode, Jack visits a tarot card reader who is a little girl. In a later flashback episode, we see the girl again, this time a century earlier. Perhaps she is the Faith that was saved by the glove. If we see her again this season, then the likelihood of the glove being involved would seem to increase. The other callback to previous seasons was the use of "456" which of course was the frequency the aliens used in season three "Children of Earth." While it wasn't made clear in this episode, Torchwood takes place in the same universe as Doctor Who, and in that universe, Earth is very aware of the existence of extra terestrials, due to the Christmas Invasion and other alien attacks on London, as well as the events chronicled in Children of Earth (as that, like Miracle Day, took place worldwide, not just in London). I wonder if there will be some concrete confirmation that the world is aware of the possibility of alien influence or if it will remain like it was this week, where if you know of the past three seasons (and/or the history of Doctor Who) then you're aware that they know about aliens, but if you don't it isn't a big deal and it isn't spelled out for you? I suppose the second way will more easily allow people into the show who haven't seen it before. Either way, I thought it was a great episode, and I can't wait to see Captain Jack and Gwen in action again! Until Next Time, let me know what you think might be the reason and the cause for Miracle Day. I am waiting to pass judgement on the episode. I'm glad the show is back, yes, but at the same time it's not the same since they killed off nearly every character I've loved. I'm not sure about the risen mitten theory, either. I would think that a "reboot" of sorts would want to keep things new, but with all the throwbacks to previous seasons, perhaps not. We'll just have to wait and see!